China was the No. 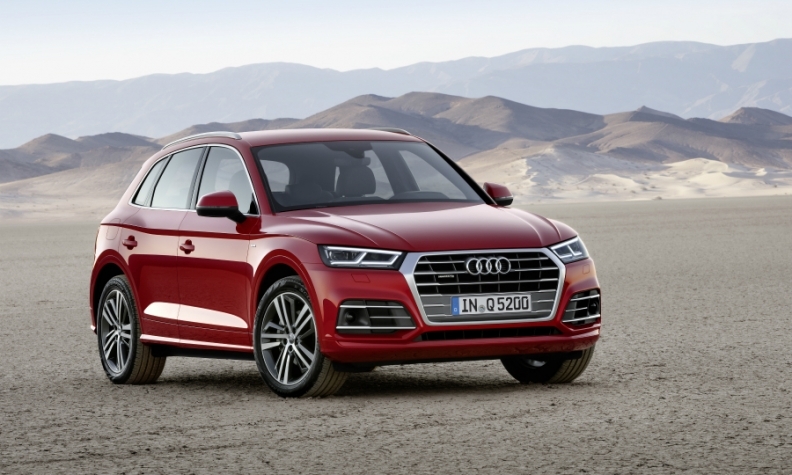 1 market for Audi's Q5 crossover last year. Audi is still China's top luxury vehicle seller -- barely. Last year, Audi sold 597,866 vehicles in China, up 1.1 percent from 2016, while BMW Group, which sold 594,388 BMWs and Minis, rose 15 percent. Daimler remained third although sales of Mercedes and Smart vehicles soared 26 percent to 587,868. In December, Mercedes and Smart sales rose 12 percent year on year to 48,140 vehicles, while Audi sales jumped 34 percent to 69,160. For the month, BMW and Mini deliveries increased 19 percent to 52,026. Audi is recovering from a boycott by dealers who protested its plans to open a second distribution channel in China. Sales plunged until Audi killed its proposal in May. In a written statement, Audi said China was the No. 1 market for the Q5 crossover last year. In spring, Audi will introduce a long-wheelbase version in China. Meanwhile, BMW noted that its China sales were strong in 2017 despite a model changeover for the 5-series sedan. And Mercedes noted that China -- along with Germany -- was its biggest market for compact cars. China was also Mercedes’ biggest and strongest growing market for the C class. And E-class sedan sales doubled in China, thanks to strong demand for the long-wheelbase version.